Paul graduated with a Bachelor of Property Degree from the University of Auckland in 1995. He began his professional career with Valuation New Zealand, before joining Sheldons in 1996. Paul obtained registration in 1998, is a Senior Member of the Property Institute and an Associate of the New Zealand Institute of Valuers. Paul became a Director of Sheldons in 2008 and along with Gary Brunsdon, oversaw the residential side of the company with joint responsibility for the administration of Sheldons business from a financial aspect. 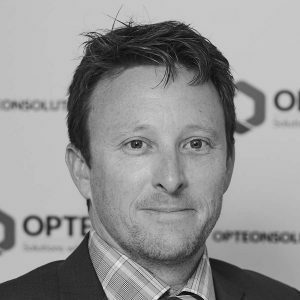 Following the transition to Opteon, Paul has become Associate Director/Managing Valuer overseeing the Northwest residential valuation team. Over the years, Paul has been involved with a wide range of valuation work, now focusing predominantly on residential valuations in West Auckland. He has considerable experience in compensation valuations and negotiations. Paul has an extensive client base and is undoubtedly one of the more experienced residential valuers in the West.